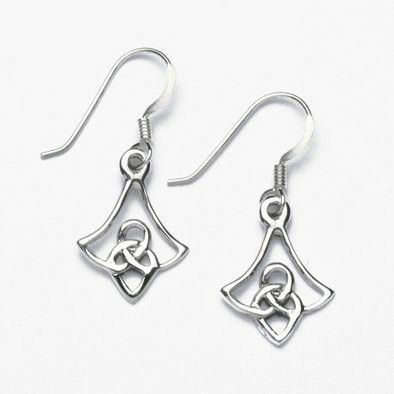 These earrings feature an intricate Celtic theme design set in .925 sterling silver. 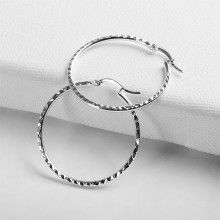 The earrings measure 1 1/4" from hook to base, and 1/2" in width. Celtic symbols are popular the world over. They are mainly seen in the form of knot work. Knot work is simply simple patterns, or shapes, repeated over and over to create a pattern. Though the patterns at first seem simple, they can be repeated to make an intricate design, rich with symbolic meaning. The symbols date back thousands of years, so their original meaning may have been diluted, or misinterpreted with time. However this leaves the symbols open to interpretation, which is one of the most intriguing parts of these symbols. 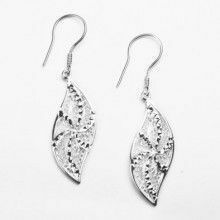 The designs do take a heavy influence from nature, the twisting silver, resembling the twisting of vines, or the meandering of oak roots. These symbols are often used to form a bound between the natural and the man-made, or symbolize a union between people. 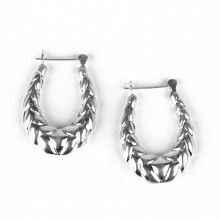 The timeless appeal of these earrings make them a great accent to any outfit! 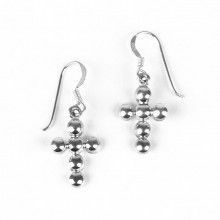 Earrings: 1 1/4" x 1/2"